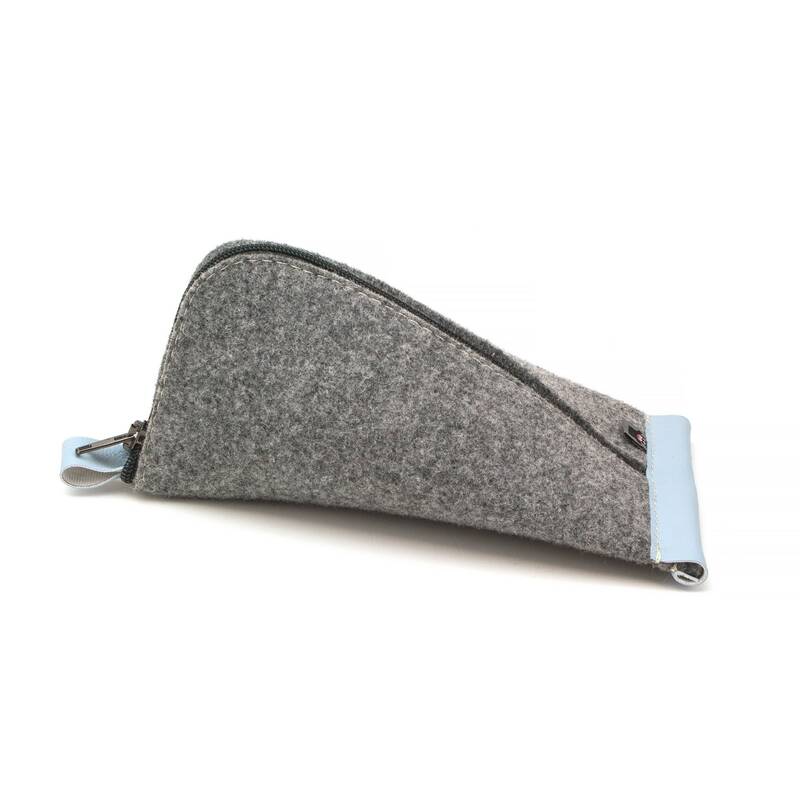 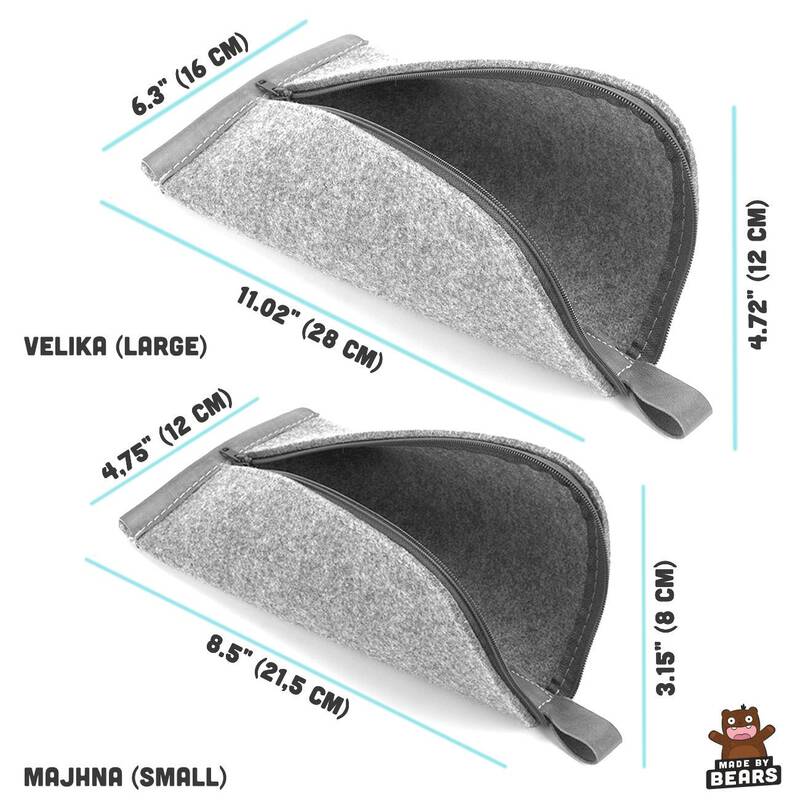 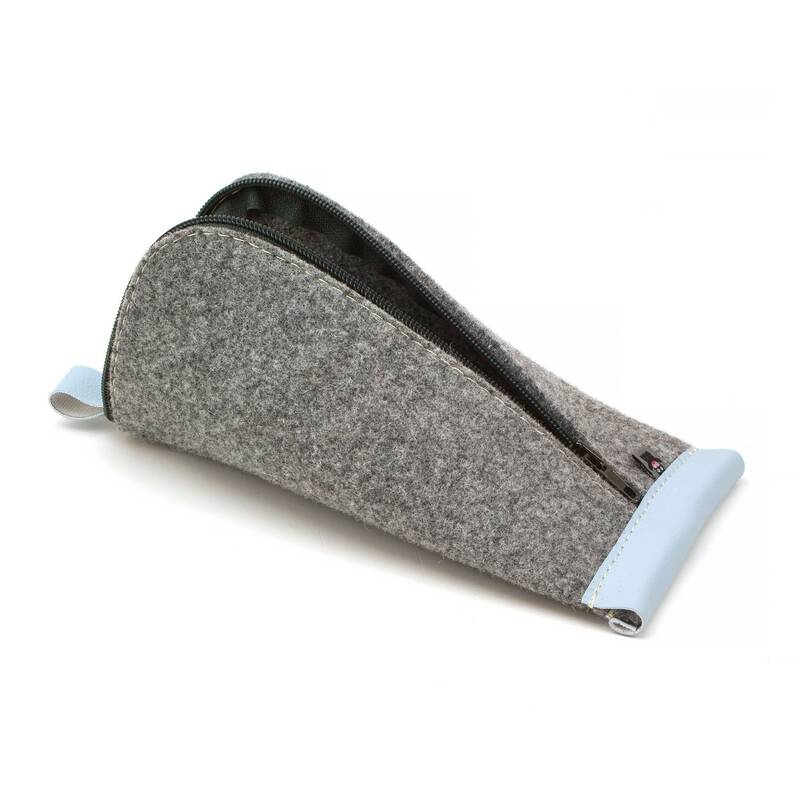 The pouch is made of 5 mm thick wool felt (DARK GRAY); collar and loop made of vegan leather (LIGHT BLUE); zipper (DARK GRAY). 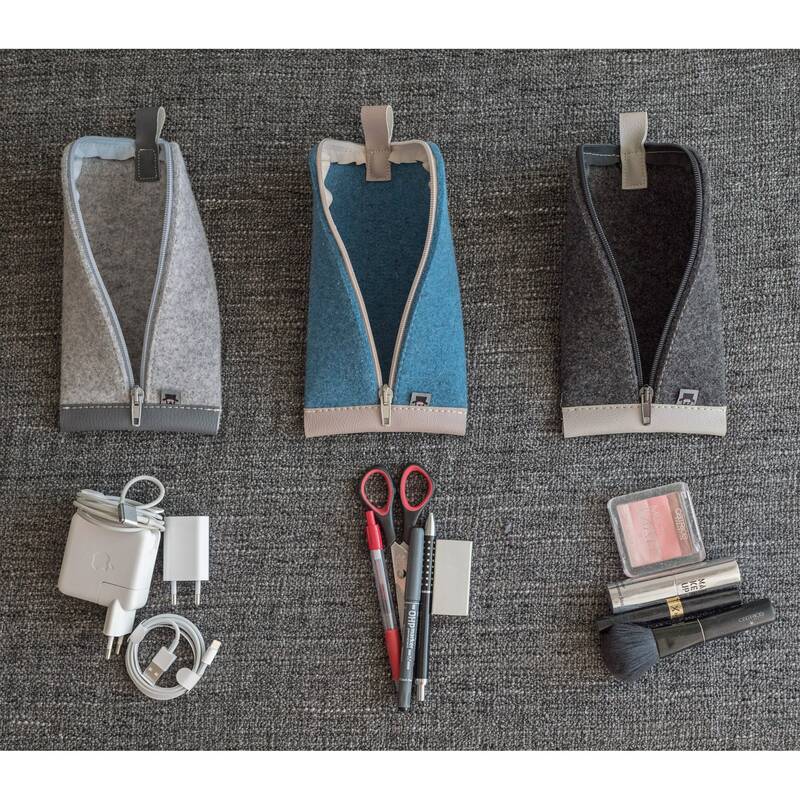 Note: Because every screen is different the colours of felt, vegan leather and zipper you see on the photos could be slightly different in person. 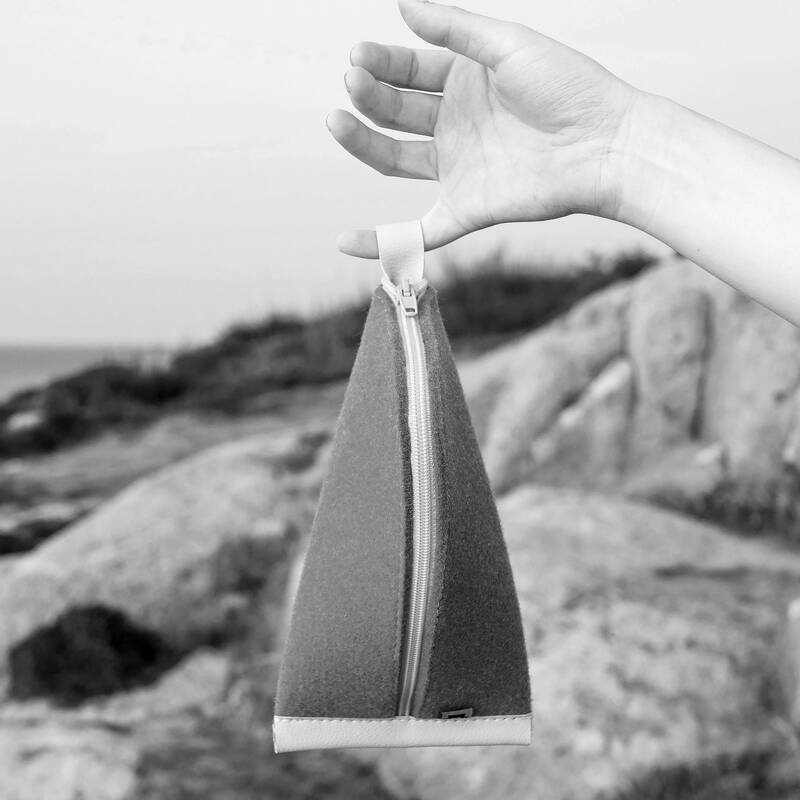 Our multi-purpose bag/pouch can be personalized according to your wishes. 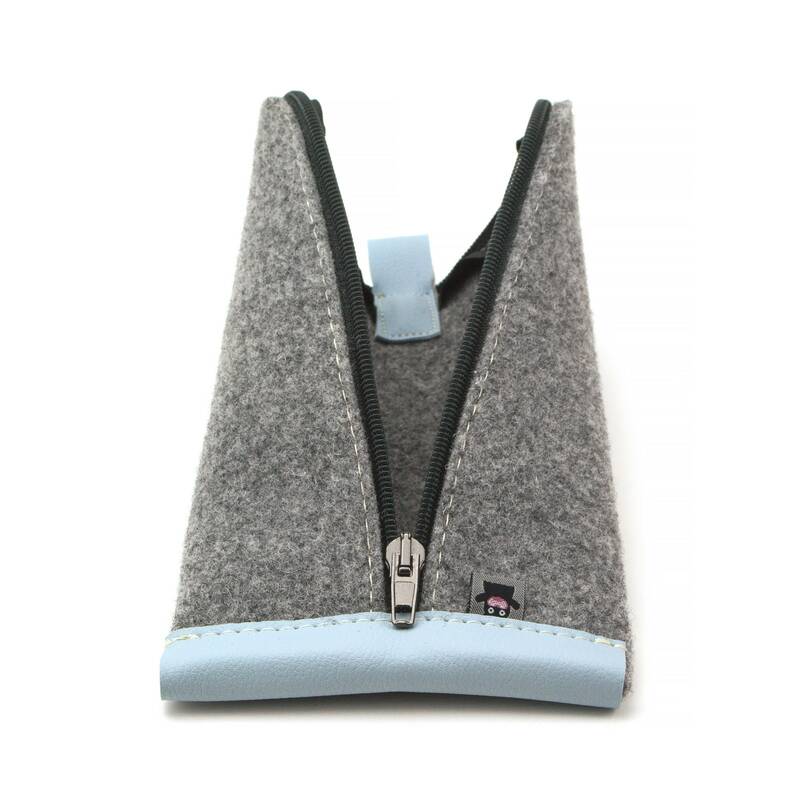 You can choose between different colors of felt, zippers and artificial leather. 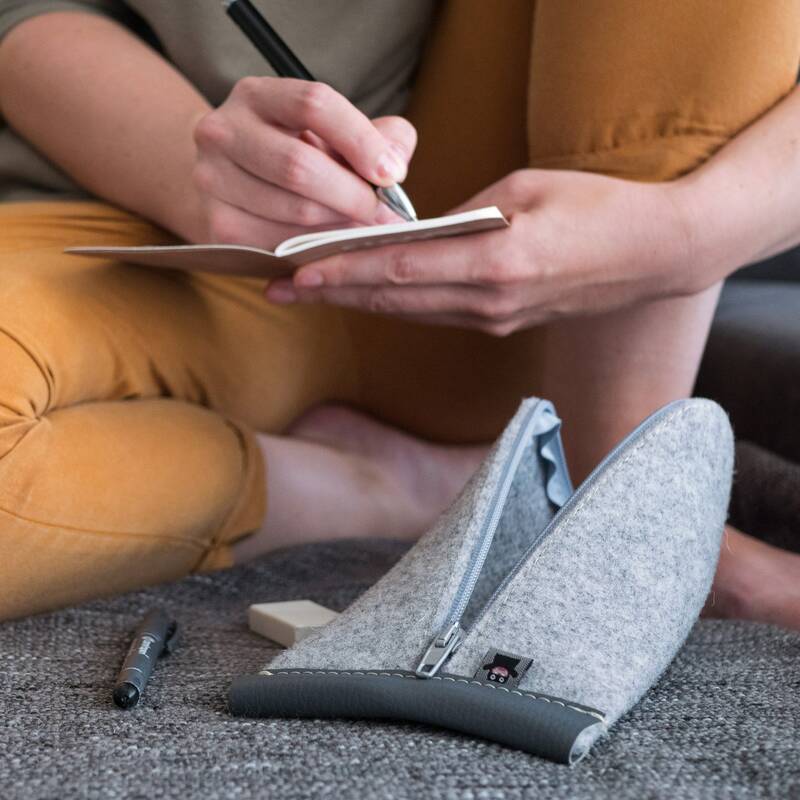 Request a custom order or contact us (press "ask a question" button).